We know you love your dog, but being a pet parent is not all cuddles and games of fetch. It comes with lots of responsibility. To avoid falling into any bad habits, new and experienced dog owners alike should freshen up on etiquette. Are you guilty of making any of these common mistakes? Can and will you take the necessary time for dog training, exercise, other activities, bonding, etc. Are you willing to put up with shedding, messes, illnesses, behavior problems, and more? Can you afford the dog? Is the dog's size appropriate for your living space? Are you even ready to own a dog? Or, to own another dog (if you already have a dog)? Will your current pets tolerate the addition? Every dog needs basic training and socialization. Some need more than others, but they all need some. If you decide not to train your dog, you are putting her at a disadvantage. How will she know the rules? What kind of structure and guidance are you providing? Don't think of training as a chore. When done positively, training is actually fun and enriching for dogs. Socialization allows a dog to get used to things in the environment, like children, other adults, other animals, objects, environments, and various situations. Without proper socialization, dogs can develop fears and phobias. Even worse, lack of socialization can lead to an array of behavior problems. Socialization is not just for puppies. You can socialize your adult dog too! Want to bring your dog out on the town? A well-trained, well-socialized dog will be more welcome in public places that allow pets, such as parks, restaurant patios, and even some businesses. Also, your friends and family are more likely to invite you to bring your dog to events if he is well-behaved and well-adjusted. Exercise is a basic need for every dog. Lack of exercise can lead to health problems and behavior issues. Some dogs need more exercise than others, but most need more than simple walks. Assess your dog's activity needs. 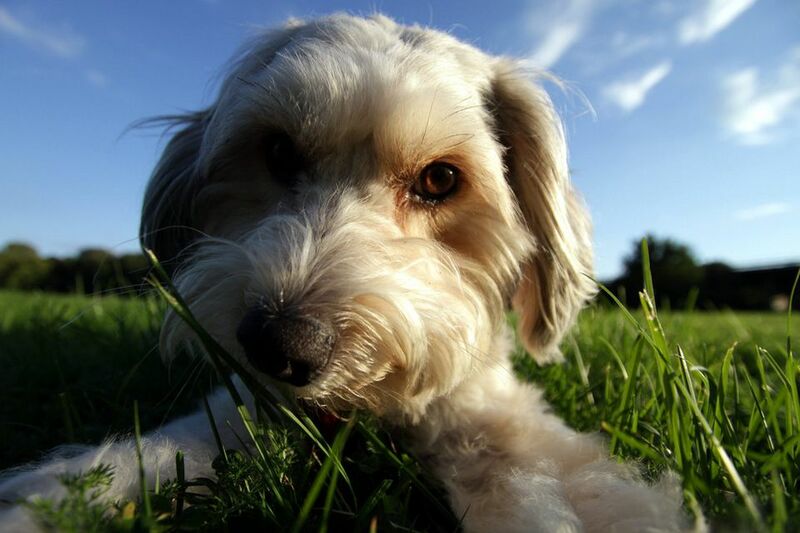 Is your dog restless and bored? Does your dog seem hyperactive and excited all the time? Is your dog overweight? These are all signs that she needs more exercise. Dogs need mental stimulation too. 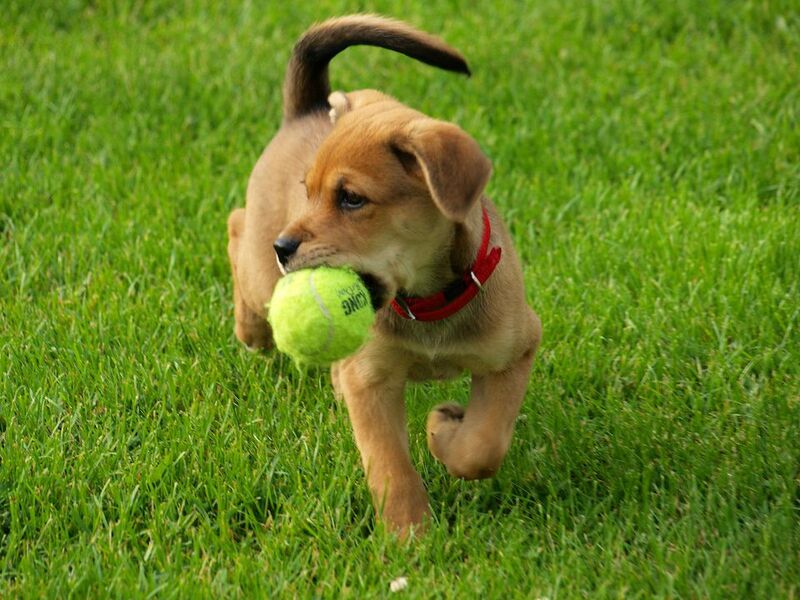 Try exercise that involves games to give your dog well-rounded activity. Many dogs will benefit from involvement in dog sports, of which there are plenty to choose from. Physically active dogs might really enjoy agility. Hounds and other curious sniffers usually love nose work or tracking. Are you one of those people who wait until you dog is sick to go to the vet? Well, you're not alone. A lot of dog owners skip or put off routine vet visits unless something is going on with their dogs. You may think, "my dog is healthy and feeling great, why ​should I stress him out with a vet visit?" Dog owners often want to avoid the cost and inconvenience of a vet visit. Reality check: This is not the best way to treat your dog. Your veterinarian is a key part of keeping your dog healthy. Most dogs will hide illness until it becomes unbearable. Routine wellness exams can allow vets to detect small health issues before they become big problems. These vet visits also help foster the relationship you and your dog have with your vet, making it easier to diagnose and treat illness when it comes along. In addition to wellness visits, you should listen to your vet's recommendation about things like heartworm prevention. When your dog is showing signs that something is not right, don't wait for it to get worse. Contact your vet for advice before it becomes something serious. The American Heartworm Society strongly recommends year-round heartworm prevention for all dogs in all 50 states. Your vet will make the same recommendation, but it's not to turn a profit. It's because heartworm disease is a serious and potentially fatal disease. Caused by infestation of the parasite Dirofilaria immitis, heartworms are transmitted by mosquitoes and can affect any dog anywhere in the US. You may say, "if heartworm disease can be treated, why bother with costly prevention?" If you think heartworm prevention is expensive, then you have never needed to pay for heartworm treatment. The heartworm treatment protocol may cost as much as $1000-$1500, and your dog can easily be reinfected in the future. Monthly heartworm prevention will cost about $35-$250 per year depending on the size of the dog and the brand of prevention. In addition to cost, heartworm treatment is risky for dogs, especially older dogs or those with other health issues. Talk to your vet and you'll realize that heartworm prevention is the better choice. Many people seem to think "doggie breath" is a normal thing. In truth, halitosis is a sign of some kind of dental disease. It may be as simple as some tartar build-up in your dog's mouth. However, left unchecked, this can become periodontal disease, leading to tooth loss and even systemic diseases like kidney failure and heart disease. How can you prevent this? Home dental care is the key. In a perfect world, everyone would brush their dogs' teeth DAILY. In real life, many of us have trouble keeping up with it. If possible, our best option is to commit to a tooth-brushing routine. You can also use a good dental home care product (ask your vet for recommendations), but it won't take the place of brushing. Either way, you should plan ahead for regular veterinary dental cleanings. If you decide that home care is not for you, then know that a professional veterinary dental cleaning is inevitable. Even with excellent home care, most dogs will occasionally need a veterinary dental cleaning (maybe every few years or less). Without tooth brushing, but with another type of home care, the need for veterinary cleaning will be a little more frequent. Without any type of home care, your dog will need a veterinary dental cleaning about 1 to 2 times per year. Ingredients matter. Over a lifetime, improper feeding can lead to health issues, including skin problems and malnutrition. Many experts think a poor diet can even lead to cancer. Don't overfeed. Food is not love. Canine obesity is on the rise, and it's partly due to overfeeding. If your dog is overweight and you are feeding the amount recommended on the bag, then you probably need to reduce it. Talk to your vet about the best diet plan for your dog. Be selective with treats and chews. Some dog chews can be dangerous, and some human foods are toxic to dogs. Choose appropriate treats that your dog loves, but feed them in moderation. Treats should make up no more than 10% of your dog's daily intake. Dog ownership costs money. Sometimes it's a lot of money. Make sure your budget includes all of the routine costs associated with dog ownership, like food, dog supplies and veterinary care. Don't forget extras, like the need to take a training class or the cost to hire a pet sitter when you travel. If money is tight, you can find ways to save money on dog expenses, but you still need a budget. Next, allow for the unexpected. Are you ready in case of an emergency or unexpected injury/illness? Emergency vets cost a lot more than your regular vet, but that's how they can be open at 3am. Even regular vets have to charge a lot for their time in working with medical emergencies and serious medical treatments. In order to stay in business, veterinary offices need payment at the time of services. Therefore, it's important to have the funds or some kind of plan in place in case you need sudden veterinary care. Behavior problems in dogs may start small, but most will get worse. Ignoring the issues will let them fester and grow. Worse, we sometimes unconsciously reinforce bad behavior in our dogs. Giving a treat to an aggressive dog tells that dog that she is doing the right thing. Fear and phobias are also sometimes overlooked or minimized. Phobias tend to get worse over time and can lead to other behavior problems or even health issues. Reassuring and comforting a scared dog tells her that she is acting appropriately. Don't let these issues continue. When issues are just starting, you may be able to address them quickly. Sometimes the solution is in a book or on a website (just be sure it's a trusted source; ask your vet and do your own research). If problems escalate, find a professional to help your dog before it really gets out of control. Dogs are lost every day. Some are even stolen. Are you taking the necessary steps to protect your dog? Some things are obvious, like keeping your dog on a leash and not leaving it unattended. Also, if your dog is lost, do you know what to do? Here's one of the worst mistakes owners can make: you put a collar on a dog, but neglect to add an ID tag. Your dog should wear a collar at all times with current identification. Also, consider microchipping your dog for an added layer of protection. This can help you become reunited with your dog if lost. Otherwise, your dog may become one more homeless pet in an overcrowded shelter.